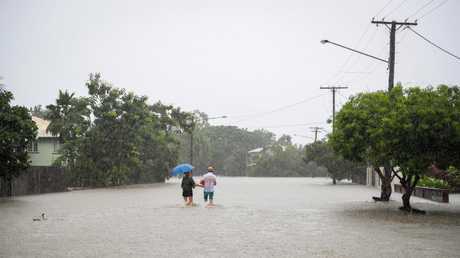 RESIDENTS in north Queensland are hoping their homes remain safe from flooding as the region's one-in-100 year downpour continues. More than the annual rainfall has fallen on parts of the state in the past week, creating a disaster area stretching 700km along the coast from Cairns to Mackay. Last night, 500 homes were at risk of going under in Townsville, with tens of thousands more to join them if the crisis worsens. 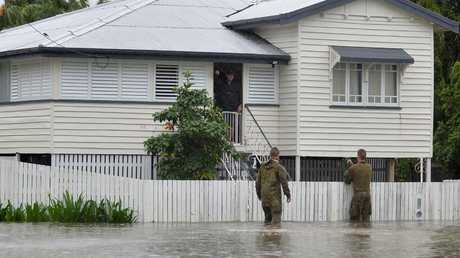 Police, soldiers and emergency services spent Saturday doorknocking in Townsville to warn residents, who have been advised to watch out for updates on the disaster. "I'm really imploring to the people in those vulnerable areas, start thinking now about what you are going to do." There are 80,000 homes in Townsville. 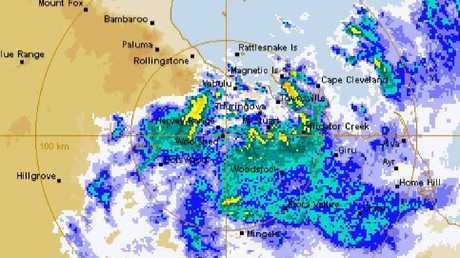 "We are in uncharted territory here," Premier Annastacia Palaszczuk said of the "unprecedented" downpour. "But please do not panic. We have a plan, we just want you to be safe." This morning the Bureau of Meteorology issued a severe thunderstorm warning for areas around Rollingstone and Bluewater, saying the storms could lead to flash flooding. It also extended its severe weather warning as far south as Winton, and warned residents to be watchful for potential flooding of the Ross, Herbert, Tully and Murray rivers. 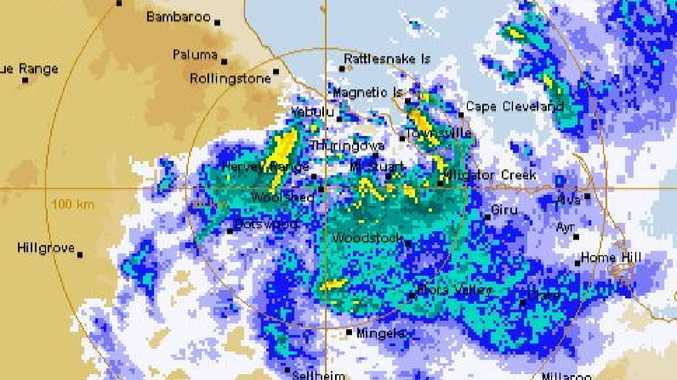 The Bureau said there had been "extremely heavy falls" since 9am yesterday, with 506mm recorded at Ingham Pump Station, 415mm at Halifax, 309mm at Cardwell Gap and 271mm at South Mission Beach. It fears there could be up to two more metres of rain before the deluge relents, potentially leading to "catastrophic" flooding. 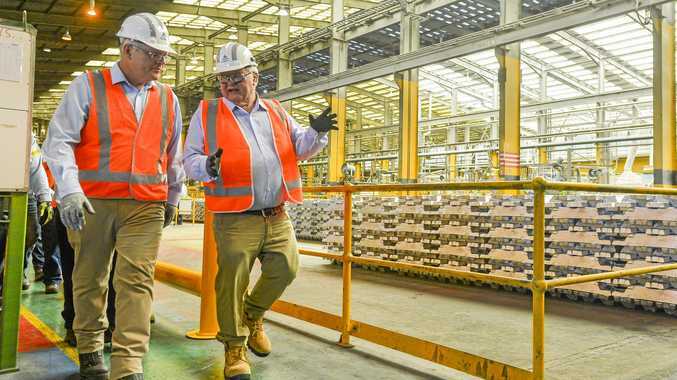 The monsoonal rain has already been declared a catastrophe by the Insurance Council of Australia, with losses estimated at $16.7 million and the worst yet to come. A couple head home down a flooded street in Townsville. Photo: Michael Chambers. Meanwhile the Courier-Mail spoke to Randall Parker, who evacuated his family on a blow-up air bed after the water level rose as high as the couch inside his unit. "It is just unbelievable, we've never seen anything like it," Mr Parker said. "It just keeps bucketing down." The rain and flash flooding began a week ago, causing power and phone outages, closing roads and businesses and inundating homes. Four tourists trapped in a car were rescued by a grazier in a helicopter after being stranded by the flooded Diamantina River near Middleton yesterday.